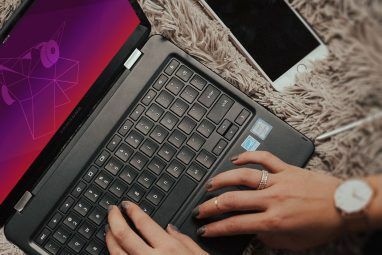 While there are many Windows-based blog editors around, there are only a handful that Linux users can use on their desktop. If you are like me – a native Linux user and a seasoned blogger – here are 6 free blogging clients for Linux users. 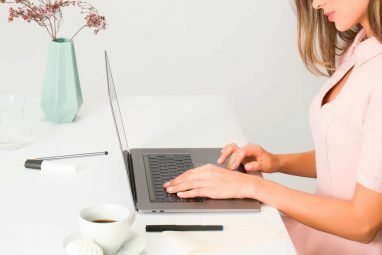 While they are not as good as Windows Live Writer, they are still able to help you get the job done quickly and easily. BloGtk is a blog editor for the Gnome desktop. It supports Blogger (1.0), Movable Type, WordPress and any other blog platforms that support atom publishing protocols. While there are several formatting options for you to style your post, it does not has a WYSIWYG text panel. Instead you will find a mix of HTML and plain text in the text editing area. You will have to switch to preview mode to see what the post look likes in the browser. One thing good about BloGtk Linux blog editor is that it supports custom tags. You can define your own tags and add custom HTML code into your post effortlessly. Thingamablog is more than a blog editor. It is in fact a blogging software that allows you to create, edit, publish and maintain your blog from your desktop. If you already own a third party web-hosted blog (such as WordPress, Blogger, LiveJournal), then this software is not suitable for you. Instead if you are looking to start your own blog and want to manage everything right from the desktop, this will be a great tool for you. In Thingamablog, you can find the blog configuration option, post composing sections and many useful tools to help you manage your blog. It is just like a WordPress condensed to desktop version (minus the plugins). In addition, Thingamablog is coded with Java, thus making it cross-platform compatible. As long as your system has got Java runtime, you will be able to run Thingamablog. 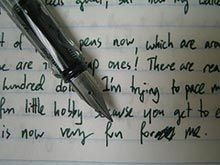 I won’t go into detail about ScribeFire since this is a very popular blog editor and many people (including MakeUseOf) have done a review about it. One good thing about ScribeFire is that it is cross-platform compatible and can be used wherever Firefox is installed. It also comes with plenty of useful features such as rich-text WYSIWYG editor, scheduled posting, live preview, site pinging and much more. For those who have not tried out ScribeFire, I strongly recommend you do so now. You can find the Firefox’s ScribeFire extension here. If you are running a LiveJournal blog, then Drivel is going to be very useful for you, much more than Windows Live Writer. Drivel is said to support the entire LiveJournal features set, including selecting a mood, set the music you are currently listening to, friends and many more. Drivel also supports other blog platforms such as Blogger, Movable Type and WordPress. While configuring Drivel, you will find that WordPress entry is not included. 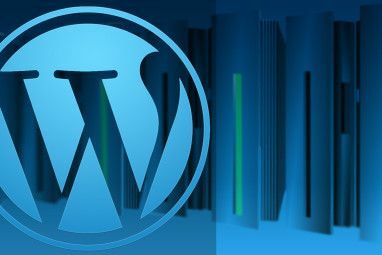 You will have to have the Movable Type entry and change the information to your WordPress blog. The text editor is simple with a clean interface. Most of the options only appear if you have configured it for a LiveJournal blog. For a fully-fledged feature-rich blog editor, I won’t recommend this, but if you are looking for a simple editor that allows you to write and publish quick posts without any hassle, then Gnome Blog Editor is the best for you. There are times when you come across some interesting articles on the Web and you want to make a brief post and post a link to that article. With Gnome blog editor, you can quickly fire it up, write your post and hit the “Post Entry” button to publish it. Simple, quick and easy. QTM is designed for the KDE desktop, but it works in Gnome as well. Among various native Linux blog editors (ScribeFire not included), I would say that QTM comes with the most complete features (though it is still far off from WLW) for most blog platforms. You get a decent text editor, with options to specify categories, tags and pingbacks. There is also a quick post template where you can create a template set that you can use to publish quick posts. Alternative blog editors that are not on the list. Other than the 6 listed above, there are some more blog editors that you can use in Linux. The reason I didn’t include these in the list is because I have difficulty getting them to run properly on my computer. They are still available for your usage, but I can’t vouch for their quality. Bleezer – Java based blog editor. I found this to be rather buggy. JBlogEditor – The project is no longer under active development. What other desktop blogging clients for Linux you have heard about or tried in the past? Make your say in the comments. Explore more about: Blogging, GNOME Shell, KDE, Text Editor, WYSIWYG Editors. The Mozilla social browser FLOCK has a built-in blogging client that is almost as capable as ScribeFire. I am trying petrus-blogger at the mo. Java based and works well. That seems a good one. I will check it out. I think the build in blog editor of Flock is better than all of the mentioned. And comes really close to WLW. I didn't include Flock in the list because ScribeFire can be used in Flock too. I guess I neglected the Flock inbuilt editor. Thanks for informing. So there's still no real alternative to Live Writer in the linux world... damn you Microsoft! WLW is the only reason I have a virtualized Windows on my Mac. LOL...at least it shows that there is still some value in Windows after all.